Margaret K. McElderry Books, 9781416903864, 40pp. Come explore the hidden shapes and patterns in nature. The peacock's flashy tail is a masterpiece of color and shape. A buzzing beehive is built of tiny hexagons. Even a snake's skin is patterned with diamonds. 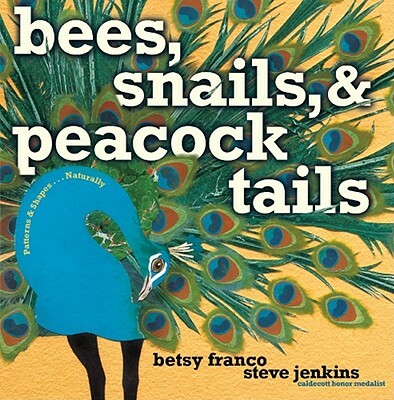 Poet Betsy Franco and Caldecott Honor winner Steve Jenkins bring geometry to life in this lively, lyrical look at the shapes and patterns that can be found in the most unexpected places.